Best Smoothie Blender For Frozen Fruit - What's Goin' On In The Kitchen? I love making all kinds of smoothies, and wanted to find the best smoothie blender for frozen fruit. Most of my smoothies are made with a mix of frozen fruit, natural yoghurt and protein powder so I wanted to find the right smoothie blender to handle all of these. Take a look at my quick picks below if you are short on time, or read on to see the top 5 smoothie blenders for frozen fruit. In a hurry? Below are my top picks for overall best smoothie blender for frozen fruit, and also my best budget pick. If money is not too much of an issue, then this is my top pick for blending frozen fruit. Extremely powerful at 1650 watts, and with a low profile jar perfect for blending ice and frozen fruit, this smoothie blender can handle anything you throw at it. If you're working within a budget, but want something with decent power, this is the smoothie blender for you. packed with 1000 watts of power, a touch screen and a number of different programmes, this gives you plenty of options at a sensible price. The first thing I look for when picking a smoothie blender that can handle things like frozen fruit and ice is its power. It's probably quite an obvious statement to make that the more powerful the better, but when you are trying to blend frozen fruit and ice, you want a blender that has some power behind it. Anything from 600 watts should do the job, and that's why I did not include anything below this power level. I have tried before to use blenders with a power of 250 watts, and this struggled to cope with a decent amount of frozen fruit for my smoothies. Depending on the size of your kitchen, dimensions may or may not matter. I lived in a flat with a tiny kitchen, and i was constantly trying to find a mix of appliances that would fit my needs. I've included dimensions in my descriptions of each blender to help you pick the right sized smoothie blender for frozen fruits. The weight of your smoothie blender is probably not going to be top of your list of criteria when choosing which one to buy. However, if your kitchen is on the small side, and you don't have all of your appliances out at one time, you may want to thin about weight when choosing which one is best for you. 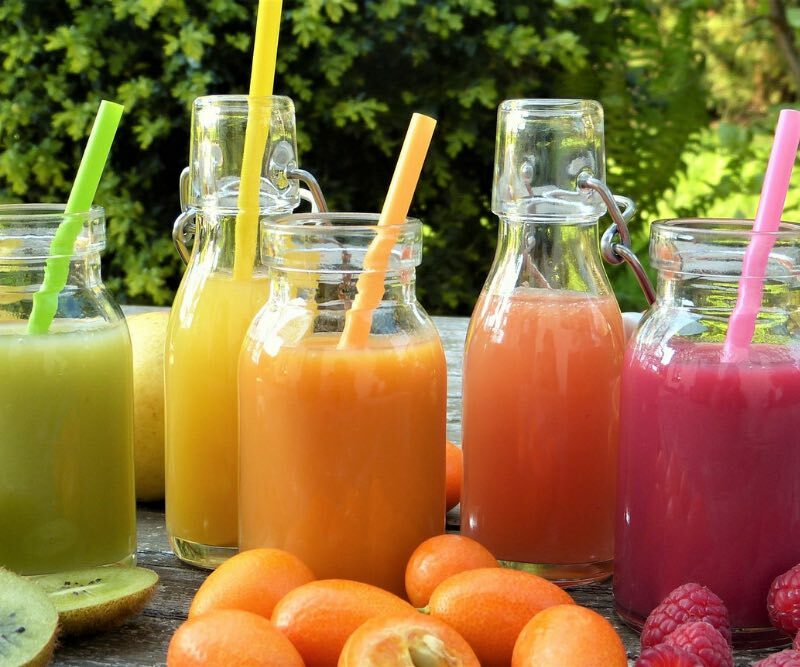 Some of these smoothie blenders can be on the heavy side, so I have included the weight in each siting to help you pick which one is the best smoothie blender for your situation. People can be fussy about having matching appliances in their kitchen. It's never bothered me, but some people do have a color scheme that they want to maintain at all costs. Taking a look at the color of the smoothie blender, and checking to see if it is available in other colors is always a good idea. Although not essential, it is good to look at the accessories that come with your smoothie blender. A good sized pitcher for me is essential here. I've used smaller blenders for frozen fruit smoothies and the narrow pitcher or cup leaves a lot of the fruit stuck in the bottom and hard to reach. Extra cups and storage containers are always a plus point for me on a product like this. Being able to quickly fire off a frozen fruit smoothie and grab it to take to work is pretty much my morning routine. I like a range of sizes of storage containers for this, and if the blender comes with this then it's a bonus. It's sometimes difficult to know where to start if you've never made smoothies before. Looking for a smoothie blender for frozen fruit that comes with recipe guides will help you out here. If money is not an issue for you, and you’re willing to pay a higher price for a smoothie blender that can do so much more than make smoothies with frozen fruit then this is the one for you. The extremely high power on this blender means that you can make frozen fruit smoothies with awesome consistency. It can also be used to make amazing soups, to grind nuts and coffee, and mix batters and dough. The hardened stainless steel blades coupled with extremely high power means that this will blitz through frozen fruit and ice in just seconds. The high price tag might put some people off, but if you want a smoothie blender for frozen fruit that will really last, then this is a top pick. With 1000 Watts of power and total crushing blades, this is a great choice for crushing all of your frozen fruits. The touchscreen blender is easy to clean, and comes packed with 4 different programs. The 4-Auto-iQ programs give you total control, allowing you to create pre-set recipes for smoothies and frozen drinks. The large pitcher allows for a huge amount of frozen fruit or ice to be blended quickly and easily. It comes in a touch on the expensive side, but with this smoothie blender you get what you pay for. NutriBullet products are ever popular amongst smoothie and blender users, and this one is no different. The high-torque 600 Watt power base cuts through the toughest of produce, taking on frozen fruit without much problem. 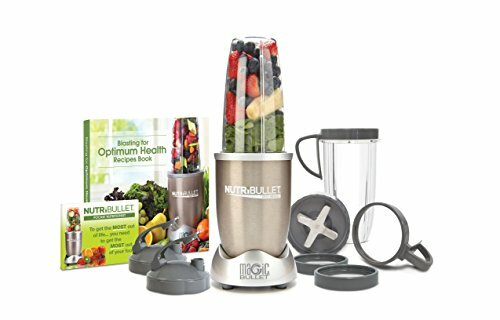 If you buy this smoothie blender, you will also be able to take advantage of the full range of accessories that come with it, including a range of cups with resealable lids, a cookbook and pocket nutritionist. This product is very reasonably priced. This blender smoothie maker is incredibly good value for money. With a power level of 700 Watts in not the most powerful, but it is great value for money. The blades are still capable of smashing through frozen fruit and ice, and it also comes with a really useful 3-cup chopping bowl. The 40 oz. glass pitcher is a touch on the heavy side, but that’s just me being fussy. The pitcher has a mess-free spout, and the unit has 12 blending functions, meaning you can make your smoothie with the perfect consistency. The motor is noisier than some of the other machines on the market, but this is offset by the great value for money. This NutriBullet smoothie maker is really the next step up from the NBR-121 mentioned above. Slightly heavier and similar in size, this blender packs extra power at 900 Watts. This is pretty impressive for both the size and price. The NutriBullet Pro 900 is capable of handling frozen fruits and ice with ease due to its 900 Watts of power. For it's size, and the price, this is an impressive smoothie blender.It also comes with an impressive bundle of kit, meaning there no need to buy extra containers for your smoothies. I love using frozen fruit in my smoothies for a number of reasons. Obviously the main reason for this is the health benefit. I always struggle to eat 5 a day as I'm a fussy eater. Blasting a couple of portions of frozen fruit in a smoothie to take to work after the gym makes sure I start my day the right way with a healthy smoothie. 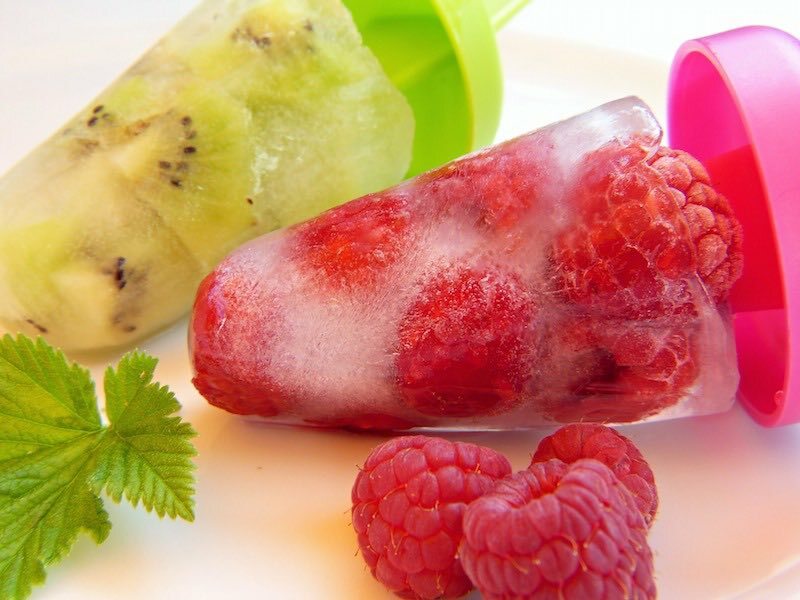 If you are adding other things such as protein powder and yoghurt to your smoothie, using frozen fruit also helps to give much more flavor and a better consistency. I guess that's just my personal choice though. I've added a quick round up of some of the frozen fruits I regularly use in my smoothies below as I thought this might be helpful to those starting out. Strawberries are always my top pick for frozen fruit smoothies. They are the most popular berry, extremely tasty and extremely high in vitamin C.
Raspberries have a number of benefits, which is why they're one of my go to fruits. They are extremely high in antioxidants, and are well know to fight obesity and forms of diabetes. I rarely make a fruit smoothie without blackberries. Another tasty ingredient, this berry is also extremely high in antioxidants. Yes I know I've included all the berries here, but they are so tasty and so healthy. Well known as a super food, blueberries are linked with both increasing memory, and slowing down the ageing process. Who doesn't need that right? I actually just use cherries because I think they give my smoothies an awesome flavor. There is however more to them than this. Cherries are full of potassium, and are also a natural source of melatonin, which would help any insomniacs reading this! Probably not everyone's first choice, and admittedly not mine, the pomegranate is linked to increased fertility and strengthening of the blood flow system. I've also added pineapple to my list because I love the taste, but it does have more to offer than this. It is again naturally high in vitamin C, and is full of bromelain, an enzyme known for helping the digestive system. Mangos are another tasty and extremely healthy fruit. There are tons of varieties of mangos, and they aid in lowering insulin levels. So I've gone through my top six picks for the best smoothie blender for frozen fruit, and the rest is up to you. If you can splash the cash and want to buy the best around, then go for the Vitamix 750.It's awesome power and low profile jug make this my absolute top pick. Like I said in the intro, if you still want a high powered machine, but don't have too much cash to spare, then go for the Ninja Smart Screen Blender. It still has a high power level, and also packed full of functions and programmes. If you're looking for something with a great range of accessories for smoothies on the go, I would go for the NutriBullet Pro 900. If you have any questions, or would like to add your comments to this review, then just fill out the comments form below. Happy blending!